Donald Lindsey is the chief investment officer at American Institutes for Research (AIR), one of the world's largest behavioral and social science research and evaluation organizations. At AIR, he manages a broadly diversified portfolio, develops investment policies and procedures, monitors market trends and seeks new investment opportunities. Previously, he was the CIO at The George Washington University for nearly 12 years. Don has over 31 years of experience in managing investments for not-for-profit and higher education institutions. Don holds a Master of International Policy and Practice from The George Washington University, an MBA from James Madison University and a B.A. in political science from Virginia Tech. Elizabeth Hewitt is the chief investment officer and senior vice president at the Alfred P. Sloan Foundation. She is responsible for managing the asset allocation strategy, fund manager selection, risk analysis, portfolio performance evaluation and liquidity management. Previously, she served as the managing director of public investments at the Robert Wood Johnson Foundation for over nine years. Prior to that, she was the senior vice president for Lazard Asset Management. Hewitt holds an M.A. and a B.A. from the University of St. Andrews, Scotland. Mark Birmingham is the chief financial officer, chief investment officer and treasurer for the Bainum Family Foundation. He is responsible for constructing and managing the $550 million diversified global investment portfolio and the foundation’s direct real estate holdings, along with overseeing the financial and administrative functions of the foundation. Prior to joining the Bainum, he spent 14 years as CFO, CIO and treasurer at the Jack Kent Cooke Foundation, managing the foundation’s $700 million investment portfolio and the financial and administrative functions of the foundation. Birmingham received an MBA in finance and accounting from the William E. Simon School of Management, University of Rochester and a B.A. in economics from Saint Lawrence University. Phil Ruden is the executive vice president and chief investment officer at Boys Town, an institution that assists at-risk children and families to succeed in life. He has served Boys Town for over 36 years. He has also been a managing member of Prodigy Asset Management for over 26 years. Ruden holds a bachelor's degree in finance from Creighton University. Joel Wittenberg is the vice president and chief investment officer at W.K. Kellogg Foundation. He has served the organization since 2009. Previously, he was the vice president-treasurer at Kellogg Company from 2000-2009, as well as vice president and treasurer of Armstrong World Industries and manager treasury at Dow Chemical. Wittenberg holds a B.S. from Michigan State University and an MBA from the University of Michigan. Edward Grefenstette is the president, chief executive officer and chief investment officer at The Dietrich Foundation based in Pittsburgh. Prior to joining the foundation, he served as treasurer and CIO at Carnegie Mellon University in Pittsburgh. He previously co-founded Commonwealth Capital Group, L.P., a small-cap private equity fund, following seven years in investment banking and law. He also serves as a trustee and member of the Investment Committee of Carnegie Mellon University, a trustee and chairperson of the Investment Committee of the University of Pittsburgh, a member of the investment committee of the University of Pittsburgh Medical Center, a trustee and member of the investment committee of The Hillman Family Foundations and a director of The Hillman Company. Grefenstette holds a JD from Georgetown University Law Center, an MBA in finance and strategy from Carnegie Mellon University and a bachelor's in economics from Georgetown University. Jonathan Hook is the chief investment officer at The Harry and Jeanette Weinberg Foundation, where he directs the $2.3 billion investment portfolio. Previously, he was the vice president and CIO at the Ohio State University, where he created its first investment office. Prior to that, he was the CIO at Baylor University, where he established the university's first investment office as well. In 2005, he was honored as "Endowment Officer of the Year" by Foundation and Endowment Money Management magazine for Baylor's top performance that year. In 2007, his school was nominated as one of the finalists for the "Savviest Non-Profit Organization" in North America. He spent 20 years in the corporate and investment banking fields before working for endowments. Hook holds an MBA in finance from Baylor University and a B.S. in economics and sociology from Willamette University. Eric Doppstadt is the vice president and chief investment officer of the Ford Foundation. He joined the foundation in 1989 as resident counsel, working closely with the investment team. Previously, he was director of private equity investments, managing the foundation’s investments in private equity, venture capital, growth equity, distressed investments and hedge funds. Doppstadt holds a bachelor's degree in social science from the University of Chicago; studied international economics at the Walsh School of Foreign Service at Georgetown University; and received a law degree from New York University School of Law, where he was articles editor of the New York University Annual Survey of American Law. He holds a Chartered Financial Analyst designation. Brian O'Neil has been the chief investment officer at The Robert Wood Johnson Foundation since 2003, where he is responsible for management of the foundation’s $10.2 billion investment portfolio. Previously, he was the chief investment officer and held other positions at AXA Equitable for 22 years. O’Neil holds an MBA from the Columbia Graduate School of Business and a bachelor's degree from Princeton University. He holds a Charterd Financial Analyst designation. Denise Strack has been the chief investment officer at Gordon and Betty Moore Foundation since 2008. Previously, she served as the director of private equity and real assets at the foundation for six years. Prior to that, she was the director of private equity at Stanford Management Company and an engagement manager at McKinsey & Company. She holds a BS in Industrial Engineering from Stanford University and MBA from Stanford Graduate School of Business. James Williams has been the vice president and chief investment officer of the Paul Getty Trust since December 2002 and was appointed treasurer in May 2006. Before joining the Getty, Williams spent three years as the president of Harbor Capital Advisors and president of the Harbor Fund's family of mutual funds. Prior to that, he was a manager of the pension asset management department of Ford Motor Company. Williams holds a B.S. in engineering from the University of Michigan and an M.B.A. in finance from the University of Chicago. Ana Marshall is the vice president and chief investment officer at the William and Flora Hewlett Foundation. She is responsible for asset allocation and strategic investment policy recommendation and implementation of the nearly $9 billion endowment portfolio. Previously, she served as a senior portfolio manager of global and emerging market equity portfolios at RCM Capital Management. Prior to RCM, she worked as an analyst/portfolio manager of emerging market debt and equity portfolios at Bank of America. Marshall holds a bachelor's degree in economics from the University of San Diego. She also holds a Chartered Financial Analyst designation. Kim Lew is the vice president and chief investment officer of Carnegie Corporation of New York, one of the oldest and most influential of American grantmaking foundations. Prior to joining Carnegie in 2007, she was a senior manager of private equity at the Ford Foundation, where she managed the foundation’s investments in venture capital and buyout funds and explored new areas of alternative investing. Lew holds an MBA from Harvard Business School and a BSE in accounting and organizational behavior from The Wharton School. She holds a Chartered Financial Analyst designation. Robert Manilla joined the Kresge Foundation in 2005 and is currently the vice president and chief investment officer. As a member of the executive team he is a partner in the development and implementation of the foundation’s strategy. Rob is also responsible for the investment of the Foundation’s $3.8 billion endowment and for the management of the investment office and its staff. Prior to joining the foundation in 2005, he spent twenty years at Chrysler. During his tenure in the auto industry, he held management roles in product development, sales & marketing, manufacturing, international operations, capital markets and asset management. Manilla holds an MBA in marketing from the University of Detroit Mercy and a B.S. in finance from Oakland University. Rosalind Hewsenian is the chief investment officer at the Helmsley Charitable Trust, where she is responsible for the strategic direction of the Trust’s investment program and its implementation. Prior to joining in 2010, she was the chief executive officer of Clay Finlay, LLC, a global equity firm with offices in New York, London and Hong Kong. She spent the majority of her career at Wilshire Associates in Santa Monica, CA, as a senior investment consultant serving governmental pension funds. She was the lead investment consultant to the California Public Employees’ Retirement System (CalPERS). She also served on Wilshire’s Board of Directors and was an equity principal of the firm. Hewsenian holds an MBA from Pace University and a B.S. from State University of New York at Oneonta. Susan Manske is the vice president and chief investment officer of the MacArthur Foundation, where she is responsible for the management of the foundation's $6.4 billion endowment. Previously, she served as the CIO of trust investments at the Boeing Company for two years. Prior to Boeing, she spent 13 years with the Ameritech Corporation in Chicago. She is a member of the Investment Board of United Way/Crusade of Mercy, and a board member of the Educational District 181 Foundation, which serves Hinsdale schools. Manske holds an MBA from Marquette University and a bachelor's degree from the University of Wisconsin, Milwaukee. She is also a Chartered Financial Analyst. Meredith Jenkins is the chief investment officer for Trinity Wall Street, where she is responsible for the investment management and oversight of the church’s endowment and real estate holdings. Prior to joining Trinity, Meredith was the co-chief investment officer of Carnegie Corporation of New York, where she was the first investment associate and was an integral part of the build-out of the corporation’s investment capability under its first CIO. In 2007, she moved to Hong Kong, where she served as the corporation’s special representative, focusing on investment opportunities in Asia, including China, Japan, India, Southeast Asia and Australia. Jenkins holds an MBA from Harvard Business School and a B.A. in english language and literature from the University of Virginia. She serves on the University of Virginia Alumni Association board of managers and on the investment committee and board of trustees of the Wenner-Gren Foundation. Jay Flaherty is the vice president and chief investment officer at the Charles Stewart Mott Foundation. He joined Mott in 2007, after working for eight years in similar capacities at Richards & Tierney and EnnisKnupp & Associates, investment advisory firms in Chicago. He also held positions as financial analyst and reliability statistician for agricultural and computer technology firms in Wisconsin and Illinois. Flaherty holds a master’s degree in mathematics from Northwestern University, a master’s degree in business administration from the University of Chicago’s Booth Graduate School of Business, and a bachelor's degree in computer science and mathematics from Saint Mary's University of Minnesota. Kimberly Sargent serves as the chief investment officer at The David and Lucile Packard Foundation. Prior to joining the organization in 2008, she was a consultant at McKinsey & Company based in San Francisco. Earlier in her career, she was a senior analyst at the Yale Investments Office. Sargent holds an MBA from Stanford's Graduate School of Busines and a B.A. from Yale University. She is a Chartered Financial Analyst. Mary McLean is the chief investment officer at the Ewing Marion Kauffman Foundation, where she oversees the foundation's globally diversified $2 billion portfolio. McLean's affiliation with the Kauffman Foundation dates back to 1996. Before being named CIO, she served as managing director of investments. She was introduced to endowment investing in the mid-1990s as a senior associate with the Yale University Investments Office. Earlier in her career, she spent several years at Morgan Stanley. McLean holds a doctorate in financial economics from Yale University Graduate School, an MBA from Yale School of Management and a bachelor's degree in mathematics at Brown University. She holds a Chartered Financial Analyst designation. Yatin Patel is the vice president and co-chief investment officer at the Conrad N. Hilton Foundation. Previously, he was a senior manager in corporate development at Barclays PLC and a mergers and acquisitions analyst at Lazard Frères & Co. Patel holds an MBA from the UCLA Anderson School of Management and a bachelor's degree in business administration from the Walter A. Haas School of Business at UC Berkeley. Michael Buchman is the vice president and co-chief investment officer at the Conrad N. Hilton Foundation. Previously, he worked in the areas of finance, real estate, and law at Broadway Partners, Citigroup Global Investment Bank, and the law firms of Fried Frank Harris Shriver & Jacobson, and Skadden Arps Slate Meagher & Flom. Buchman received a JD degree from the University of Pennsylvania Law School, and an MBA and bachelor's degree in economics from The Wharton School at the University of Pennsylvania. Jonathan Brelsford is the senior vice president of finance and investments at the Pittsburgh Foundation, where he is responsible for the financial stewardship of donated assets, as well as the Foundation’s accounting and investments. He has held several leadership roles since joining the foundation in 2007. Previously, he worked with Mellon Global Securities Lending, specializing in European financial institutions and asset-backed commercial paper conduits. He currently serves on the Finance Committee of Grantmakers of Western Pennsylvania. Brelsford holds a B.S. in industrial management from Carnegie Mellon University. He is a Chartered Financial Analyst. May Ng is the vice president and chief investment officer at the Annie E. Casey Foundation, a foundation focused on improving the well-being of American children. Previously, she served as the director of public market investments for the foundation for over five years. Prior to that, she was the director of investment strategy and research at George Washington University Investment Office. May holds an MPA in economics and public policy from Princeton University and a B.A. in political science from Williams College. Donna Dean is the chief investment officer at the Rockefeller Foundation, where she has been responsible for investing the foundation’s endowment since 1995. Prior to that, she spent seven years at Yale University as the director of investments. During this time, she was responsible for real estate investing and the oversight of the New Haven Initiative community investment program. Earlier in her career, Dean managed real estate portfolios for CIGNA Investments in Hartford, and also served as manager of trust investments at International Paper Company in New York. Dean holds a master’s degree in business administration from the University of North Carolina at Chapel Hill and a bachelor's degree in English literature from Queens University of Charlotte. Shawn Wischmeier is the chief investment officer at Margaret A. Cargill Philanthropies, a private foundation based in Minnesota. He also serves on the board of directors at Camp Fire Minnesota, a nonprofit focused on youth development. Previously, he was the CIO of the North Carolina Retirement Systems and CIO at Indiana Public Employees' Retirement Fund. Wischmeier holds an MBA from Northwestern University, Kellogg School of Management and a B.S. in chemical engineering from Rose-Hulman Institute of Technology. Rob Nagel is the chief investment officer and assistant treasurer at the Wallace Foundation. He has managed the foundation's investment portfolio since 1988 with responsibility for all investment matters including asset allocation, risk management and the selection and monitoring of investment managers. Previously, he was a senior financial analyst in marketing and a manager in corporate finance at the Reader's Digest Association, Inc. Nagel holds an MBA in finance and international business from the University of Maryland and a B.A. in political science and international relations from Manhattanville College. Nagel attended the Goethe Institute in Freiburg, Germany, where he continued his German language studies after graduating from college. MaDoe Htun is the chief investment officer of the William Penn Foundation. Previously, she served as the chief investment officer of the Xerox Worldwide Pension and Savings Plan. MaDoe began her career at Xerox, where she held various finance positions before joining the Xerox Trust Investment Group in 1996. She also served as director of equity strategies for General Motors Asset Management. MaDoe holds a J.D. from the George Washington University, and an MBA from the University of Chicago. She received her B.A. with honors from Smith College. MaDoe is a CFA Charterholder, CAIA Charterholder, a member of the bar in Illinois and Washington, D.C. and a registered patent attorney. Bert Feuss oversees the investment and stewardship of $13.5 billion of charitable capital at the Silicon Valley Community Foundation (SVCF). Prior to joining SVCF, he was a senior vice president at Franklin Templeton Investments in U.S. sales and distribution. 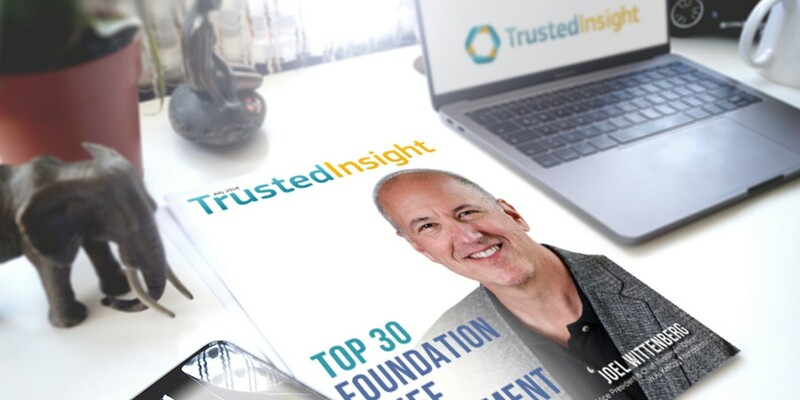 Feuss speaks and writes regularly on impact investing strategies, asset manager diversity and investment best practices for nonprofit fiduciaries. 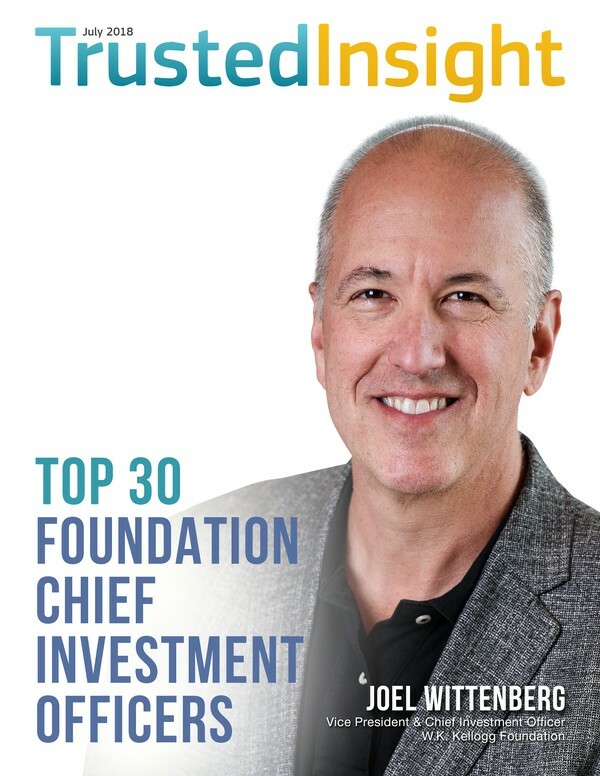 He is a leader in inclusive investment practices having worked closely with the foundation’s investment consultant to expand the number of high-performing women and minority managers employed by the foundation. Feuss holds an MBA from Golden Gate University and a B.S. from the University of California at Davis. Tim Recker is the chief investment officer and treasurer at The James Irvine Foundation, where he manages the foundation’s $2.3 billion endowment, and develops its investment policy and strategy. He is a member of the foundation’s executive team. Previously, he served for 10 years as the managing director of private equity and real assets for the Regents of the University of California. Prior to that, he was the director of alternative investments at the Michigan Retirement System and a portfolio manager of a $5 billion multi-asset portfolio for GE Asset Management. Recker holds an MBA from the University of North Carolina, a bachelor’s degree in economics and business administration from Bellarmine College and is a Chartered Financial Analyst.